Recently, the Centre for Science and Environment (CSE) received a letter from a consumer about Harvest Gold’s poster, manufacturers of the popular bread in north India, at a shop near Shadipur metro station where they had defended their product by falsifying CSE’s study. After receiving the letter, the CSE went through the company’s website, which also had a similar notice denigrating CSE study findings on bread released in May 2016. The poster and notice both have used terms such as “unjustified study”, “wrongfully publicised study” and “created panic”. Although they had not named CSE anywhere in the notice as well as the poster, they had used the term NGO. As the study was conducted by the CSE, it is obvious that the term NGO is referred to CSE. Defending one’s product is one thing, but challenging a scientific study is unacceptable. The study conducted by the CSE was not an “unjustified” study as it was conducted following robust scientific procedures. Moreover, the findings were considered to be of public health significance, which is why it was well received by all stakeholders including the industry. After CSE found the presence of potassium bromate and/or potassium iodate, raising concerns on their safety, the Food Safety Standards Authority of India (FSSAI) agreed to ban the use of potassium bromate and investigate potassium iodate within 24 hours of the release. The initiative was taken up by the authority considering the risk on public health. The study was not “wrongfully publicised” because results of tests conducted by CSE as well as third party labs were made public on CSE’s website in a transparent manner. Even the company responses, received from different bread makers, were made public on the website. Further, the study did not create “panic” because as a public institution, it is CSE’s role to make people aware of issues that concern their health. Wide public awareness about the health concerns around the use of two additives as flour treatment agents acted as a key driver towards the FSSAI’s decision which was long pending for the past four to five years. Such initiatives can encourage consumers to read food labels and better understand what they are eating. 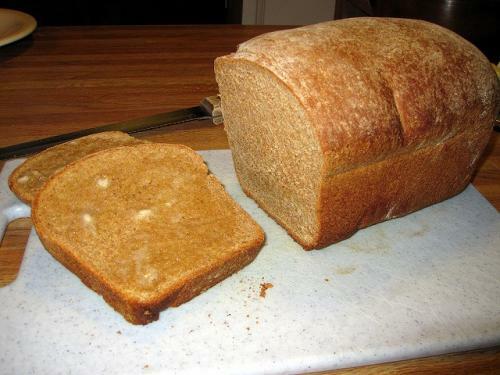 Additionally, Harvest Gold is incorrect in denying the use of two additives in bread making, because test results by CSE found presence of potassium bromate and/or potassium iodate where the presence of bromate was also confirmed through a third party lab test in one of their products. The company was not responsible enough to respond to CSE’s repeated inquiries that were sent to them, regarding the usage of two additives, during the study. They were given enough chances to communicate their views to CSE. They did not refute the study for even once during the initiative taken up by the industry to voluntarily withdraw the use of two additives. After the FSSAI’s announcement, the All India Bread Manufacturers’ Association (AIBMA) voluntarily withdrew the use of both potassium bromate and potassium iodate in bread manufacturing. Why did Harvest Gold keep silent while the voluntary withdrawal was declared? Not only this, but they have also continued to be silent and not respond to any of the queries sent to them by CSE regarding their misleading notice on company’s website and poster at retail outlets. Several queries over the phone as well as through email had been made at Harvest Gold addressed to the company’s managing director by CSE since July 27, 2016. CSE has not received any response to the queries till date where it was asked to explain the use of terms as described above. Though they have taken down the notice from the website but retail outlets may still have such notices. If they were so sure of their position, they would not have taken down the notice from their website after receiving queries from CSE.